Having a website is a must for any business that wants to be competitive and reach a broader audience. The website is the online business card of your brand and therefore it should be properly designed and completely functional. Having your website translated into one or more foreign languages means that you can appeal to a greater audience. There are several options you can use when deciding to translate your business website and you need to make sure that the one you choose is successful and works in your favor. There are some approaches that you need to steer clear of and there is a handful of good practices that you can follow in order to achieve the desired results. In order to reach a new audience and enter new markets, a company can use these four best practices for their website translation project. There are several options when it comes to translating a website. Each of them has its benefits and drawbacks but some of them are definitely a better choice. Many companies would choose this option as it is more accessible and usually cheaper. 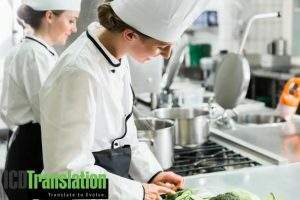 While it is a viable choice, you need to keep in mind that the quality of the translated text will be much lower compared to using a human translator. Still, there is a difference what type of machine translation you are going to use and for which parts of your website. Using free services as Google Translate is not the best decision for a company website, especially if the target language you have chosen is rare. Still, even with common languages as Spanish or German, there will be quite a few inaccuracies that will undermine your brand identity. You can use a language service provider who offers machine translation as it is of a higher quality and quite often you also have the option of getting the translation proofread by a human translator. It is also advisable to choose the machine translation option for things like the feedback provided by customers or other less important elements of your website and not the main or the service pages. There is the option to assign the website translation to an employee or partner speaking the target language. This will be counterproductive in the long run as the quality of the translation will not be that good and most probably the project will take much longer to be finalized. Keep in mind that it won’t be the priority job of the person and hence it may not be done as well as you expect. Choosing a professional translator for the job is the best decision if you want to have an accurately translated site. You can either work with a freelancer or with a translation company specializing in website translations depending on how many languages you are going to use for the project. If the translation is going to be only in one language, you can opt for a freelancer. In case you want a translation in two or more languages, it is better to use a language service provider offering them all. You will communicate only with one person managing the project and you can have the same high-quality and consistency of the work for all languages. A professional translator will not only translate the content but also localize it in accordance with the specifications of the target audience. Thus, you will have the proper references, icons, and formats in the respective language version of your website. Special attention should be paid to address and phone formats, as well as to dates as this is very important for the customers to be able to reach your company representatives. It is not viable to translate your website into too many languages. The best way to determine the target languages for the project is by looking at the foreign markets you are currently present in or targeting. These should be the priority languages to include in the website translation project. If you are not able to cover all the languages you need, because of budgeting reasons, for example, you can choose between the most popular languages that are Spanish, French, German, Japanese, Chinese, Italian. If your website is often opened from a given country, the language of that country should be included as part of the translation. Furthermore, if this country is not covered by your company services, it is high time to consider adding it as a potential market and an option for growth. Once the translation of the website is finalized, make sure that your readers can easily see what language options are available. There are two basic options to choose from – have a multi-language site or have a multi-site. In the first case, the readers open your site and can choose between the different languages it is translated into. In the second case, you have your site with the relevant domain ending typical for each country – that is you have a separate site for Germany, Spain, etc. It is a good idea for your website to remember the language preferences of each user. So, whenever the reader opens your website, they will get the content in the language they use. If you want to make your website translation a success, you need to create a detailed plan follow it through. It is always better to adopt the best practices in the industry and to work with professional translators, who will be able to provide a consistent, accurate, and high-quality service.